The world’s largest inflatable rubber duck sailed into the Victoria Harbor in Hong Kong yesterday. The 46-foot-tall and 55-foot-long floating sculpture, which is the work of Dutch conceptual artist Florentijin Hofman, was pulled into the harbor by a tiny tug boat, causing quite a stir among the curious locals. 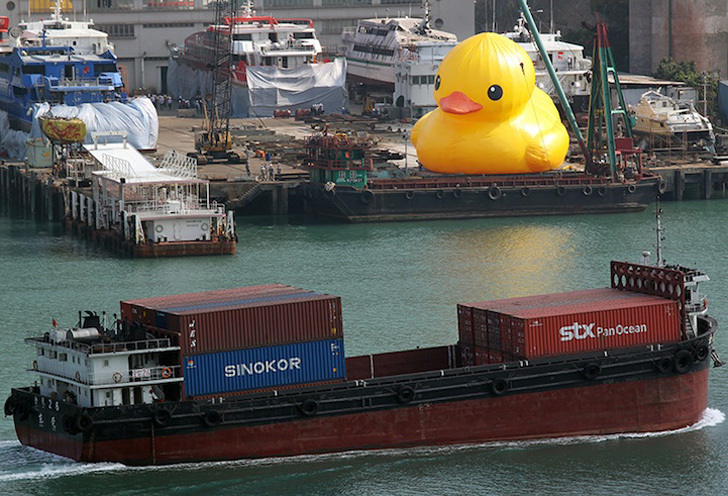 The Rubber Duck has already visited Sydney, Osaka and Sao Paolo, and will remain in Hong Kong until June 9. Famous for turning recognizable, everyday object into large-scale sculptures, Florentijin Hofman creates art pieces that aim to be completely free from political connotation. 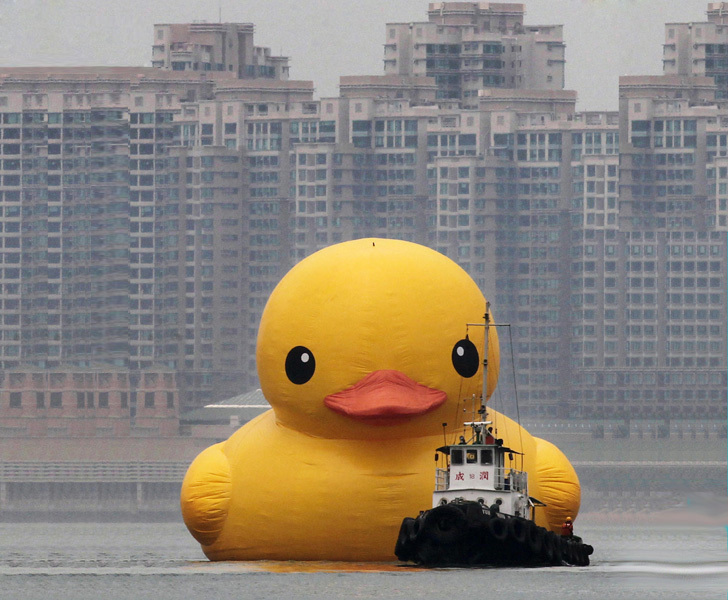 For one of his latest projects he took the iconic rubber duck that children around the world can identify with and turned it into a massive-scale floating art piece. According to Hofman, the Rubber Duck aims to be a happiness-inducing sculpture that “gives people a break from their daily routines”.